The inspiration for Marie's design is the majestic Southwell Minster in Nottinghamshire. 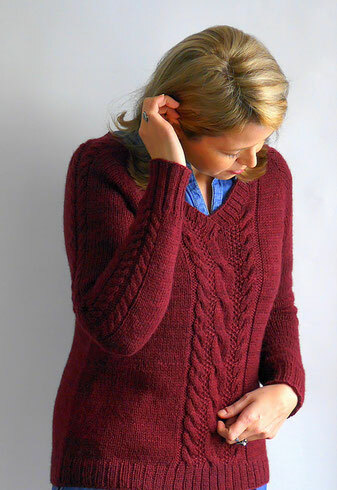 The pattern is top down and features a beautiful cabled detail. A perfect cardigan for any time of the year! Southwell can be purchased from Marie's Ravelry store. The yarn is my beautiful 100% British Bluefaced Leicester Sock and the colourway shown is Marian. Bentley is a vintage-style cropped cardigan with modern features and keyhole sleeve accents. 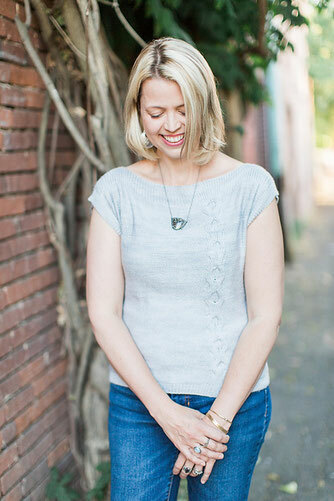 It pairs beautifully with jeans and a crisp, collared shirt or over a vintage dress. Bentley is knit from the top down and features a delicate wild flower knot pattern. Bentley can be purchased from Olive Knits Ravelry store. The yarn is my beautiful 100% British Bluefaced Leicester Sock and the colourway shown is the delicious Bramley Apple. Everyone needs a basic little striped cardigan! Balise is top-down, seamless, and with a slight set-in style sleeve. Balise can be found in Olive Knits Ravelry store. It can be knit in my luxurious silk blend for an extra special cover-up or in my 100% British Bluefaced Leicester Sock. The colourways shown are Damson and Silver Birch. Which colours will you choose? You can find Bateau in Olive Knits Ravelry Store. It can be knit in my luxurious silk blend for an extra tee or in my 100% British Bluefaced Leicester Sock. The colourway shown is Silver Birch. Why not team it with Balise? Brookings is the quintessential cabled v-neck pullover - with a bit of comfortable ease in the body and contoured increases at the raglan for a better-than-usual fit. Knit top-down and seamless in one piece, the pattern is easy to memorize. 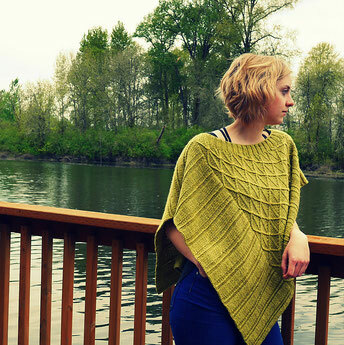 You can find the pattern to Brookings in Olive Knits Ravelry store. Brookings is knit in my squishy BFL and Masham worsted weight yarn and the colourway shown is Damson. Psst it looks gorgeous in Lichen too! 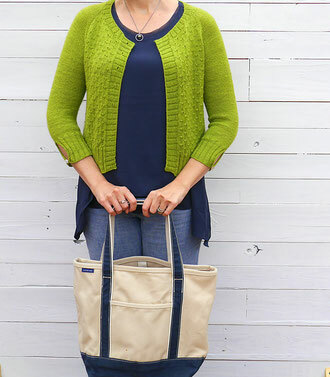 You can find the pattern for Blacklock in Olive Knits Ravelry store. Blacklock is knit in my beautiful BFL and Masham worsted weight yarn. The colourway shown is Wood Sorrel.